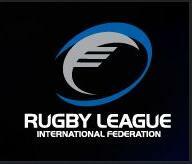 The current rugby league world cup has provided us with some exciting matches and made me curious about the difference between rugby league and rugby union. Running with the ball in football became common in the1830s at Rugby School. It was known as “Rugby School football” and gained in popularity in the 1850s and 1860s. The rules were formalised at the formation of the Rugby Football Union (RFU) in 1871. Rugby football became a popular sport and soon spread to Australia and New Zealand. Rugby was a “gentleman’s sport”, played by amateurs. In 1892 some Yorkshire clubs were accused of professionalism after it was discovered that they were paying compensation to players who were taking time off from paid employment to play rugby. This led to the proposal that players be paid up to six shillings when they missed work because of match commitments. This proposal was voted down by the RFU, and resulted in some prominent Lancashire clubs declaring support for their Yorkshire colleagues in their proposal to form a professional Northern Union and the Northern Union (NU), was formed. RFU authorities introduced sanctions against clubs, players and officials involved with Northern Union sides. At this time the two forms of rugby became known as “rugby league” and “rugby union”. Rugby League evolved to include a number of tournaments and develop a strong following. The two codes of rugby have developed and flourished completely independently of one another, although there are players who have crossed over and achieved success in both. 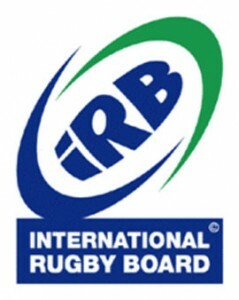 In 1995 the IRB International Rugby Board, declared rugby union an “open” game, making it possible for players to be paid to play rugby. Traditionally, the two forms of rugby have had a perceived class split, with rugby union seen as more “middle class” and rugby league “working class”. This divide can generally be seen as rugby union being played by players who had sufficient means to be able to take time off work to play rugby without any compensation, whereas rugby league players could not afford to take time off work to play the sport. Rugby league introduced its World Cup in 1954 and it has been held intermittently since, in various formats. Rugby union’s first World Cup was held in 1987 and it is contested every four years. The current World Cup holders for both disciplines is New Zealand.